Prior to the Normal Schools established in Idaho, school teachers came from out of state or were untrained and unlicensed to work with children. According to the Albion Historical Society, “In 1890, when Idaho became a state the Federal Government had seen the need for better trained teachers. Part of the Federal Land Grant money to newly formed states was to establish Normal schools.” At the time, Albion was Cassia County’s Seat; as well as, Idaho’s South-Central center of population. Local residents actively lobbied legislature to have a public institution of higher learning built in their town. Albion State Normal School in its prime trained most of the school teachers in Southern Idaho; playing a vital role in Idaho’s education from its beginning, the end, and beyond. The beginning of Albion State Normal School was first brought on by a bill, according to an article published in The Salt Lake Herald January 10, 1893 “In the senate today Mr. Miller, of Cassia, introduced a bill to establish a state normal school at Albion.” The same newspaper reported March 2, 1893, “The Albion normal school bill passed the house today and now goes on to the governor.” No report within the newspapers that the governor approved the bill; however, many resources shared Albion State Normal School bill passed on March 7, 1893.
the rafters up and begins to look like a nice, neat, and imposing structure. There are several men at work and only a short time will elapse till it is completed. We are proud of the structure, and we anticipate the future greatness with grim satisfaction. Tuition is free for teachers and nominal for all… Teachers wishing to qualify themselves to raise the grade of their certificates in county or state can do so at Albion and at the same time establish themselves in a pedagogical course leading to a life diploma and state certificate. The funds, construction, and land were all gathered by the local citizens of Cassia County; this spoke extremely well for this devoted community. It is expected, according to The Caldwell Tribune, “the legislature will, no doubt, supplement their effort by liberal appropriation.” Indeed it was, January 19, 1896 Coeur d’ Alene Press accounted, “a bill was introduced providing for a bond issue of $114,000, the proceeds to be equally divided between the Lewiston and the Albion Normal Schools.” These funds were to be used to “erect additional buildings and the state to be reimbursed from the sale of lands set aside for the schools.” The Salt Lake Herald stated on February 17, 1895, “ Mr. Miller’s bill passed the House of Representatives authorizing the school with a $75,000 bond with a unanimous vote. When the funds were acquired they were used for “an administration building and a men’s dormitory .” Over the years, “the campus expanded adding a women’s dormitory and several other facilities” according to South Fork Companion writer Evin Filby. Student population and government funds dwindled during the Great Depression. Albion stayed fully functional, as ISU Headlines reported, “by putting the students to work at school jobs, such as maintenance, construction, general services and food preparation.” However, student census resumed to consistent growth in the late 1930s. In the mid-1940’s, after World War II, men and women who served in the war returned and found themselves in need of a different type of school, one providing more than just a teaching career. At this time, most states were leading in four-year university programs, including education; there were only five normal schools left in the United States. In 1947, Idaho half-heartedly allowed accreditation to Albion Normal School to a four-year program and renamed the institution Southern Idaho College of Education (SICE). Lewiston Normal School became Northern Idaho College of Education (NICE). The institution now had the opportunity to provide a baccalaureate degree. The newspapers reported there to be as much passion in the ending as there was in the beginning of Albion State Normal School. According to Twin Falls Times News, in 1951, newly appointed, Republican Governor Len B Jordan suggested closing both Albion and Lewiston Normal Schools , now SICE and NICE. This was not taken lightly by those in and out of government the article explained, many were left confused as "Jordan never mentioned it in his campaigns at all so his rationale, at the time as well as now, is not all that clear. Cost-cutting?” There was a lot of substantial disapproval of this decision; however, according to the South Fork Companion, “SICE – once Albion State Normal School – held its final commencement exercise. The school had made an indispensable contribution to Idaho education, but it was doomed by its relatively isolated location.” When the doors officially closed in both SICE and NICE institutions, their “responsibilities were transferred to Idaho State College (now Idaho State University) in Pocatello.” stated ISU Headlines. Most recently in September 2006, the College of Education’s north wing was named Albion Hall in recognition of the achievements and legacy of Albion State Normal School (1893-1951). The dedication was a memorable event for those who attended and an opportunity to revisit the location … where the tradition of preparing professional educators began. In conclusion, Albion State Normal School played a vital role in Idaho’s education from its beginning, to the end, and evidence of its training is even found beyond the closed doors. 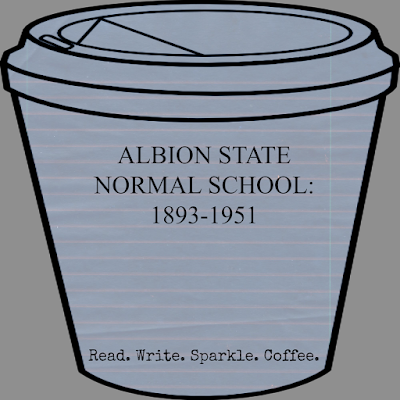 "Albion State Normal School. Idaho State University." ISU Library. Special Collections. "Albion Historical Society 1871, 1890." Albion Historical Society. News Items from ISU Marketing and Communications. http://headlines.isu.edu/?p=1406#more-1406. 13, 1894." Chronicling America. Library of Congress. "The Caldwell Tribune. (Caldwell, Idaho Territory [Idaho]) 1883-1928, January 25, 1896." Chronicling America. Library of Congress. 1898." Chronicling America. Library of Congress. http://chroniclingamerica.loc.gov/lccn/sn86091092/1898-02-05/ed-1/seq-1/. "The Caldwell Tribune. (Caldwell, Idaho Territory [Idaho]) 1883-1928, May 27. 1899." "The Coeur D'Alene Press. (Coeur D'Alene, Idaho) 1892-1907, January 19, 1895." Chronicling America. Library of Congress. http://chroniclingamerica.loc.gov/lccn/sn88056095/1895-01-19/ed-1/seq-3/. "The Coeur D'Alene Press. (Coeur D'Alene, Idaho) 1892-1907, January 26, 1895." "The Salt Lake Herald. (Salt Lake City [Utah) 1870-1909.” January 10, 1893. Chronicling America Library of Congress. "The Salt Lake Herald. (Salt Lake City [Utah) 1870-1909.” March 02, 1893. 5." Chronicling America. Library of Congress. “Albion Historical Society 1871." Albion Historical Society. http://www.albionidahohistory.org/1871/. "The Salt Lake Herald. (Salt Lake City [Utah) 1870-1909.” January 10, 1893. Chronicling America Library of Congress. http://chroniclingamerica.loc.gov/lccn/sn85058130/1893-0110/ed-1/seq-1/. "The Salt Lake Herald. (Salt Lake City [Utah) 1870-1909.” March 02, 1893. Chronicling America. Library of Congress. http://chroniclingamerica.loc.gov/lccn/sn85058130/1893-03-02/ed-1/seq-1/. Filby, Evin. 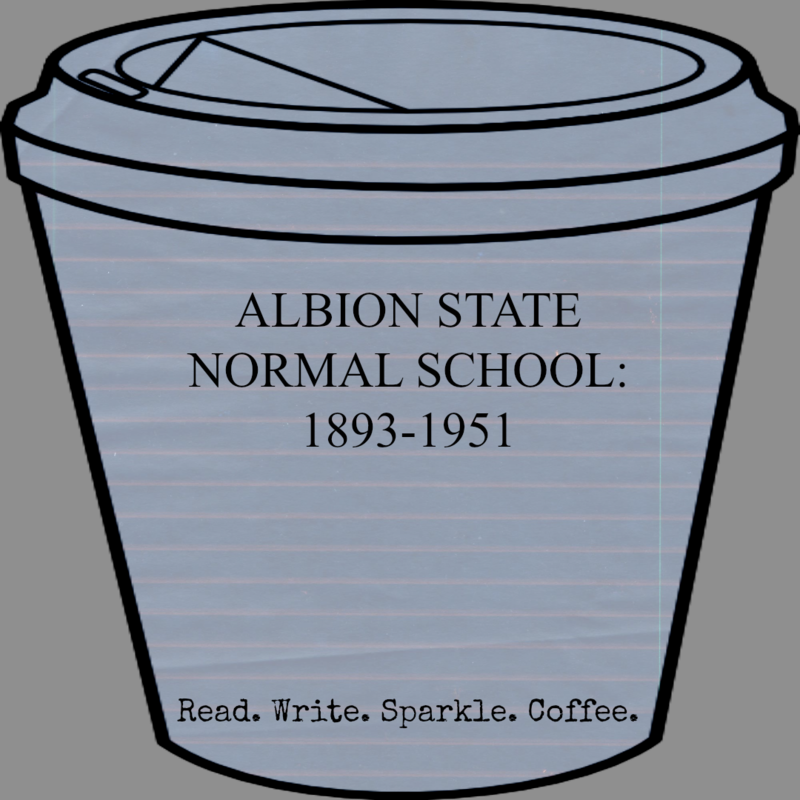 "Legislature Authorizes Albion State Normal School." South Fork Companion. http://sfcompanion.blogspot.com/2017/03/legislature-authorizes-albion-state.html. "Wood River Times. (Hailey, Idaho) 1882-1915, April 04, 1893." Chronicling America. Library of Congress. http://chroniclingamerica.loc.gov/lccn/sn86091172/1893-04-04/ed-1/seq-3/. Matthews, Mychel. "Hidden History: The Albion Normal School." Twin Falls Times-News. July 3, 2014. http://magicvalley.com/news/local/hidden-history-the-albion-normal-school/article_f3acd545-ac95-50a3-a3fe-ca987ce64477.html. "The Salt Lake Herald. (Salt Lake City [Utah) 1870-1909. November 18, 1893, Page 5." Chronicling America. Library of Congress. http://chroniclingamerica.loc.gov/lccn/sn85058130/1893-11-18/ed-1/seq-5/. "The Caldwell Tribune. (Caldwell, Idaho Territory [Idaho]) 1883-1928, January 13, 1894." Chronicling America. Library of Congress. http://chroniclingamerica.loc.gov/lccn/sn86091092/1894-01-13/ed-1/seq-5/. "ISU College of Education to Celebrate Its 50th Year Sept. 10-11." ISU Headlines – News Items from ISU Marketing and Communications. http://headlines.isu.edu/?p=1406#more-1406. "The Caldwell Tribune. (Caldwell, Idaho Territory [Idaho]) 1883-1928, January 25, 1896." Chronicling America. Library of Congress. http://chroniclingamerica.loc.gov/lccn/sn86091092/1896-01-25/ed-1/seq-4/. "Albion State Normal School. Idaho State University." ISU Library. Special Collections. http://www.isu.edu/library/miscellaneous/specialcollections/albion-state-normal-school/. "The Coeur D'Alene Press. (Coeur D'Alene, Idaho) 1892-1907, January 19, 1895." Chronicling America. Library of Congress. http://chroniclingamerica.loc.gov/lccn/sn88056095/1895-01-19/ed-1/seq-3/. "The Salt Lake Herald. (Salt Lake City [Utah) 1870-1909, February 17, 1895." Chronicling America. Library of Congress. http://chroniclingamerica.loc.gov/lccn/sn85058130/1895-02-17/ed-1/seq-1/. Ibid. Filby. South Fork Companion. "The Coeur D'Alene Press. (Coeur D'Alene, Idaho) 1892-1907, January 26, 1895." Chronicling America. Library of Congress. http://chroniclingamerica.loc.gov/lccn/sn88056095/1895-01-26/ed-1/seq-3/. "The Caldwell Tribune. (Caldwell, Idaho Territory [Idaho]) 1883-1928, February 05, 1898." Chronicling America. Library of Congress. http://chroniclingamerica.loc.gov/lccn/sn86091092/1898-02-05/ed-1/seq-1/. Chronicling America. Library of Congress. http://chroniclingamerica.loc.gov/lccn/sn86091092/1899-05-27/ed-1/seq-1/. Crump, Steve. "When a Popular Governor Killed Albion's Teachers College. Editorial Magicvalley.com." Twin Falls Times-News. http://magicvalley.com/news/opinion/editorial/article_bdd8a36a-c3f4-5ce5-af32-a8cb927e6c0e.html.